Mrs Bourne would like us to think that is this the case. 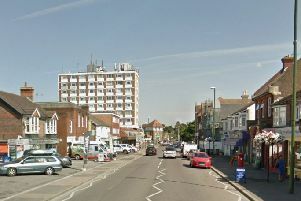 I live in Haywards Heath and I don’t believe that we have anything to worry about as regards serious crime, nothing on the same level as other areas in Sussex and nothing to warrant the increase in the police precept for instance. I firmly believe that although it would appear that knife crime is at record levels, this is not the case in Mid Sussex! My concern is that some of these new officers for which we as rate payers are paying for will be drafted into other areas not in Mid Sussex. This appears to be unfair.